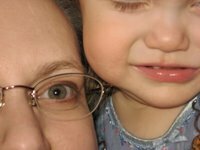 Here's what I've seen and what I think. WARNING: Spoiler Alert! Iron Man - Great flick! Thank goodness Marvel has formed a production company so that they can retain control over their properties. Hopefully this will mean no more movies like Spidey 3 or the first Hulk. As far as Iron Man goes, almost everything was right about it. Great casting, good story, stellar effects and humor. If anything was weak I would have to say it was the last part of the movie involving Jeff Bridges character. This may also point to a future weakness for the franchise which is Iron Man doesn't have a very interesting roster of villians to choose from. I've heard that the Mandarin may be a future baddie. Of course, the whole Tony becomes an alcoholic storyline has yet to play out so perhaps Stark is Iron Man's worst enemy. We'll see. Prince Caspian - I liked it but perhaps not as much as my wife. It was dark, which was didn't bother me. It had lots of battles which was good. Even where they deviated from the original story didn't bother me. I think the one thing that the movie suffered from was lack of character development. But overall, I liked it and would watch it again. 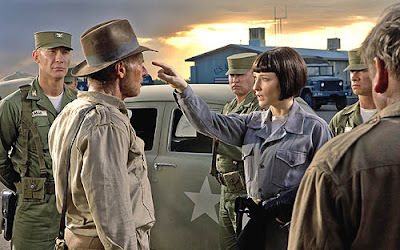 Indiana Jones and the Kingdom of the Crystal Skull - I was very disappointed in this movie. First of all, I don't think it should have been made. Second of all, Lucas said they wouldn't make another one until they found a compelling story to tell. Well, they should have waited longer. This story is a dud. What's wrong with the movie? I'll tell you. - They started off badly by not setting up the movie the way the others are set up. In every Indy movie so far we've had the movie start with Indy at the end of another adventure. It helps to set the stage for what's to come and it gives the movie a jolt of action up front. This one doesn't have that. From the very start, it began to not feel like an Indy movie. - With the absence of such lovable characters as Brody (Denholm Elliot), Dr. Jones Sr. (Sean Connery) and Sallah (John Rhys-Davies) we are introduced to too many new characters who never go anywhere. Marion returns but isn't given much to do. And speaking of Marion, one minute she and Indy are fighting over their break-up and the next they're all kissy-kissy. There was no development of that relationship at all. - Some of the action sequences (and their were not enough because the movie dragged) stretched my suspension of disbelief beyond it's limits. The last time this happened was during Temple of Doom when they fell down the mountain in the raft. This movie makes that look tame. And some of the situations Indy had to survive were just ridiculous. - Last but not least, the plot was so lame. When I finally got the gist of where they were going (and hoped I wasn't right) all I could think of were bad one-liners from E. T. or Close Encounters. Indy helps the aliens phone home? Could be. So, I guess you can say I didn't really care for the movie. It was okay. I enjoyed some parts of it. But overall it just left me flat and wishing they'd just let Last Crusade be the final hoorah. Lucas ruined Star Wars and now he's pulled Spielberg in to ruin Indy. These men must be stopped! So, there you have it. I'm still looking forward to Wall-E, Hancock, and last but not least, Hellboy II: The Golden Army. They had a longer trailer for this during Indy 4 and it looks amazing! And please no "Geriatric Jones and the quest for the golden bedpan." But that's my 2 cents. oh... I'm sad. I didn't read your spoilers- kinda skimmed it. But I got enough to know I'm gonna be sad. I wanted the next IJ to be good!